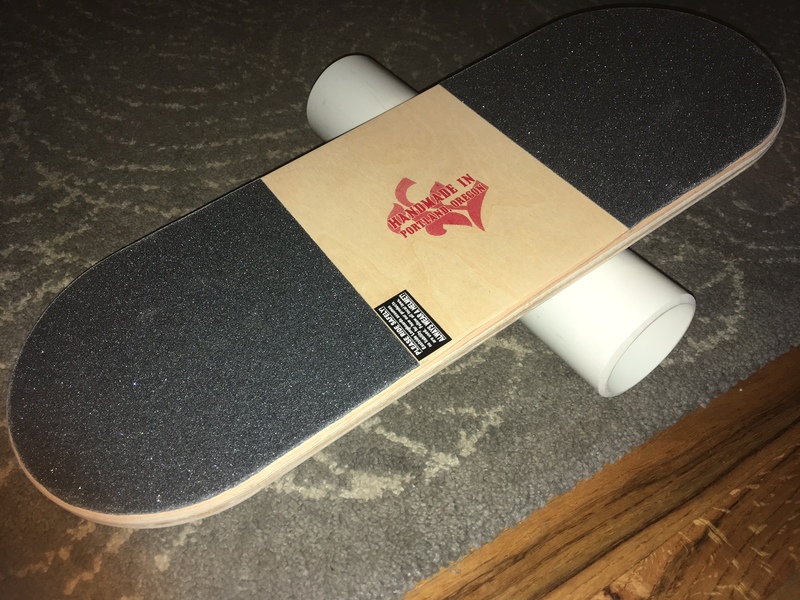 Board with griptape and roller tube included. Local Deal $30.00 – Pick up only. Eastside’s balance board is a simple and fun way to gain balance for all board sports, especially skateboarding, snowboarding, and surfing. They come with griptape for riding with socks and for doing tricks. The ratio of board length to pipe diameter is perfect combination to enjoy and have lots of fun on. From beginners just learning to balance to advanced riders who can bust out spins and tricks. 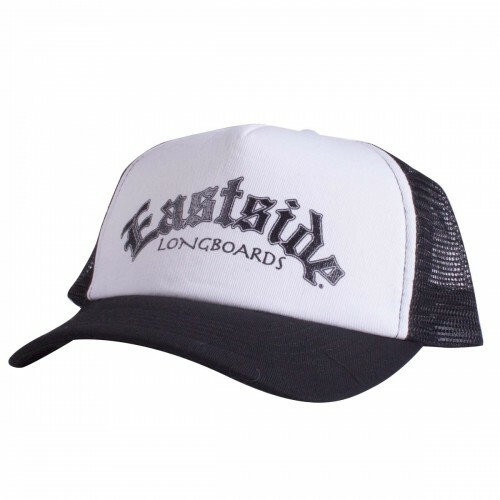 Made from Eastside’s strong 12 ply laminate, this board is a simple and fun way to gain balance for all board sports, especially skateboarding, snowboarding, surfing, and wakeboarding. 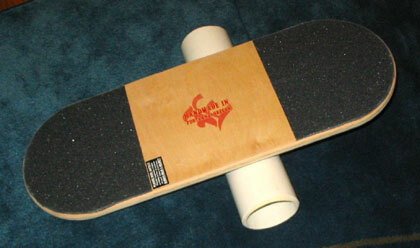 The similar skateboard shape mimics being on a board and feeling a similar weight-shift. Also the flat board shape on a round tube allows for all kinds of spins and tricks. Get ready for hours, weeks, and months of addicting fun and excitement that will keep you trying for more. 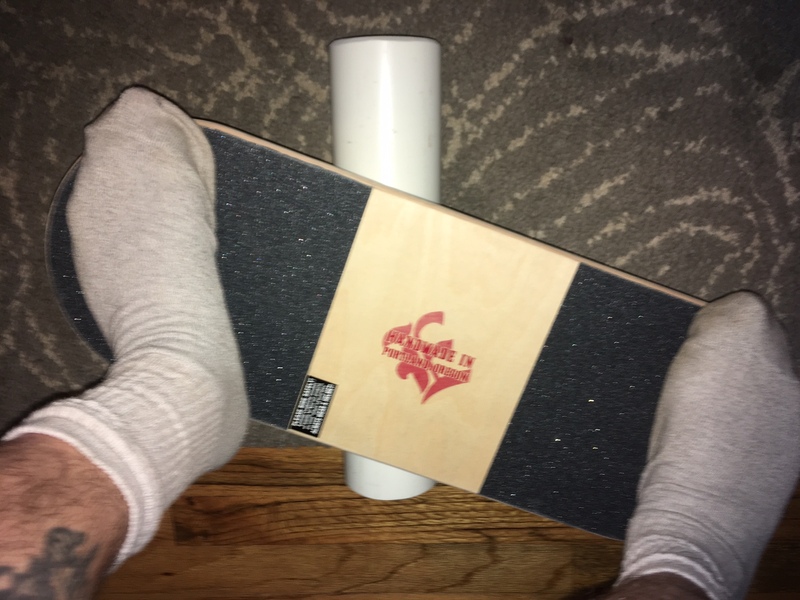 Also a great conditioning tool to keep you tuned up, muscles and joints strengthened to prevent injuries, and to get ready for action on your real board. 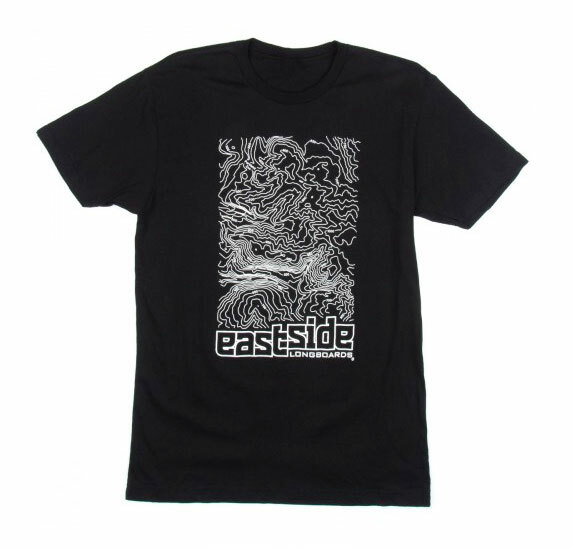 Package includes griptaped board with a silk screen of the retro Eastside Logo and sturdy roller tube as shown. Always use on a carpet on top of a flat surface. The thicker the carpet, the slower the board will roll, and thus the easier it is to balance. Harder surfaces should only be attempted by experienced riders. Eastside accepts no liability for injury. So be careful and start off slow by holding onto a wall, couch, ect. Also place in center of room away from hard objects. Check out video below to see how it works! 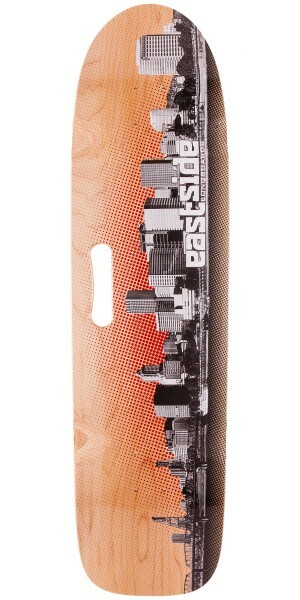 Board – 24" x 8.5" / Roller Tube – 15" x 3"
Based on the Eastside of Portland, Oregon. Owned and operated by local longboard enthusiast, creator, racer, and instructor Robin McGuirk. Support Small Business and pay securely using PayPal.